If the Division of Child Protection and Permanency (“DCP&P”), formerly known as the Division of Youth and Family Services (“DYFS”) in Passaic County is currently investigating your family, is providing your family with services, or has taken custody of your children, you are no doubt facing an overwhelming and stressful situation. There are two DCP&P local offices in Passaic County, both located in Paterson, and the Passaic County DCP&P defense lawyers at the Tormey Law Firm are ready to help you manage any circumstance you may be facing from either local office. The Passaic County DYFS defense lawyers at the Tormey Law Firm have one goal: to get DCP&P out of your family’s life as quickly as possible whether you are being investigated by the Division, if DCP&P took custody of your children in the Passaic County Family Court, or if you have already been substantiated for child abuse and you want to appeal the finding. Our Passaic County NJ DYFS lawyers represent clients in Paterson, Clifton, Wayne, Totowa, Little Falls, and North Haledon. Contact our offices now for immediate assistance at (908)-356-6900. The initial consultation is always provided free of charge. Hearings for care and supervision, custody, and guardianship matters in Passaic County are heard at the Passaic County Superior Court, located at 77 Hamilton Street Paterson, NJ 07505. The Passaic County Superior Court is open from 8:30 a.m. to 4:30 p.m., Mondays through Fridays, and can be contacted at 973-247-8000. Click here for more information regarding the Passaic County Superior Court. For directions to the Passaic County Superior Court, click here. DCP&P cases in Passaic County will be handled by a Judge who sits in the Family Part of the Chancery Division of the Passaic County Superior Court. The Presiding Judge of the Passaic County Family Part is the Honorable Greta Gooden Brown, P.J.F.P., whose chambers can be contacted at 973-247-8441. The Passaic County Family Part also has a Children in Court unit with court staff dedicated to DCP&P cases. The Children in Court team can be contacted at 973-247-8494. Click here for more information on the Passaic County Family Division and Children in Court unit. There are two DCP&P local offices in Passaic County: the Passaic Central Local Office, 22 Mill Street, 3rd Floor, Paterson, NJ 07501, phone: 973-977-4525; and the Passaic North Local Office, 100 Hamilton Plaza, 11th Floor, Paterson, NJ 07505, phone: 973-523-6090. Click on the following link for more information regarding the DCP&P Local Offices in Passaic County. Admitting you need help can be very difficult; however, getting help that you need may be the key to getting DYFS out of your family’s life. Whether the Division is involved with your family because of allegations of substance abuse, corporal punishment, or other parenting issues, there are a wealth of resources and family support services including counseling, therapy, and parenting education available to parents in Passaic County through the New Destiny Family Success Center of Paterson 79 Ellison Street Paterson, NJ 07505, phone: 973-278-0220; and Straight & Narrow Family Success Center 101 Cedar Street Paterson, NJ 07501, phone: 973-333-6240. 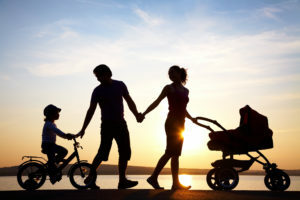 In addition to the family success centers in Passaic County, the New Jersey Parent Link has valuable information for parents regarding health and wellness, developmental and behavioral health, parenting education and family support services. For parents in Passaic County who need substance abuse treatment, addiction services are available at multiple locations throughout the county that are licensed by the Department of Human Services, Division of Mental Health and Addiction Services. For a list of the licensed substance abuse treatment centers in Passaic County, click here. In addition to the substance abuse services in Passaic County, the New Jersey Prevention Network focuses on providing substance abuse and addiction services throughout the State of New Jersey. If you need immediate help for a substance abuse issue, you can dial the confidential Addictions Hotline 24/7 at 1-844-276-2777 which provides information and referrals to substance abuse treatment agencies statewide.